Data in a class survey can be qualitative or quantitative depending on the situation. 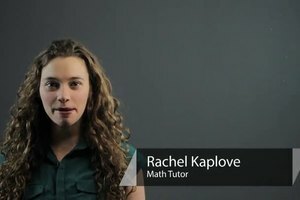 Find out what type of data is a class survey with help from an experienced mathematics professional in this free video clip. Hi my name is Marija, and today I'm going to tell you what type of data a class survey is. So there are two basic types of data. There is quantitative data and then there is qualitative data. If you look at the word quantitative, it looks like the word quantity and when you think of quantity you think of a number so when we talk about quantitative data we are looking at something that can be counted right, something that could be written as a number and qualitative data is going to be something that cannot be counted. So when you do a class survey, the type of data that you've collected depends on what question you ask your classmates. So if for example you ask them for their favorite type of ice cream or you ask them their religion or their culture, then you are looking at qualitative data because that's all data that cannot be counted. However, if you ask them something like their height or their age then we are looking at quantitative data because that is things that can be counted. So depending on the type of question that you ask a class whether it can be counted or not, it would be considered quantitative or qualitative data.